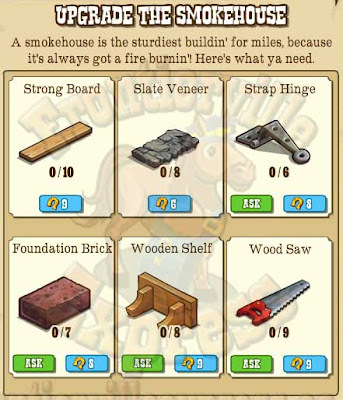 Another building, another building guide! 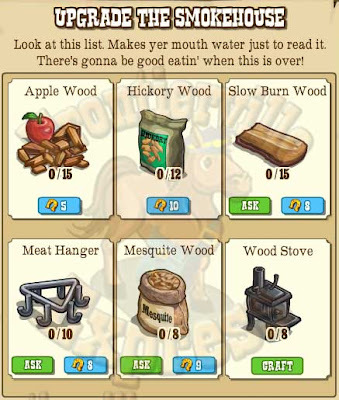 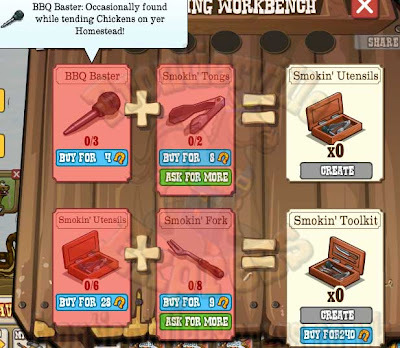 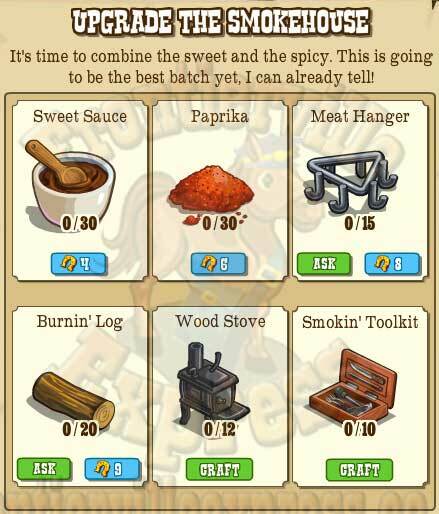 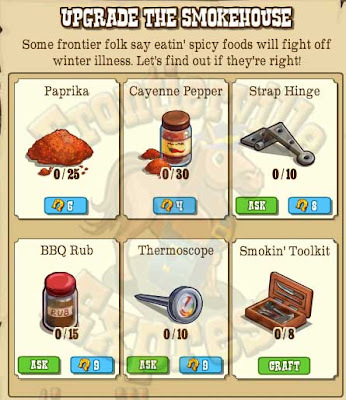 The Smokeworks is a four step building with 6 items each step, the usual mix of request items, crafted items and things that drop down from doing those tasks on our homestead. 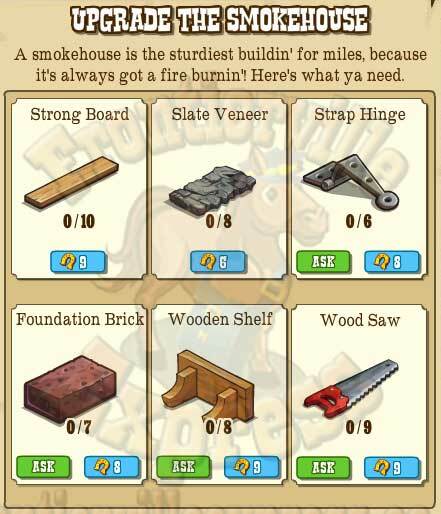 Unlike previous builds however, there are only two different crafted items this time around, meaning you can plan ahead and push for items as you go that will help you in later builds, so do't be afraid to ask for more than you need.